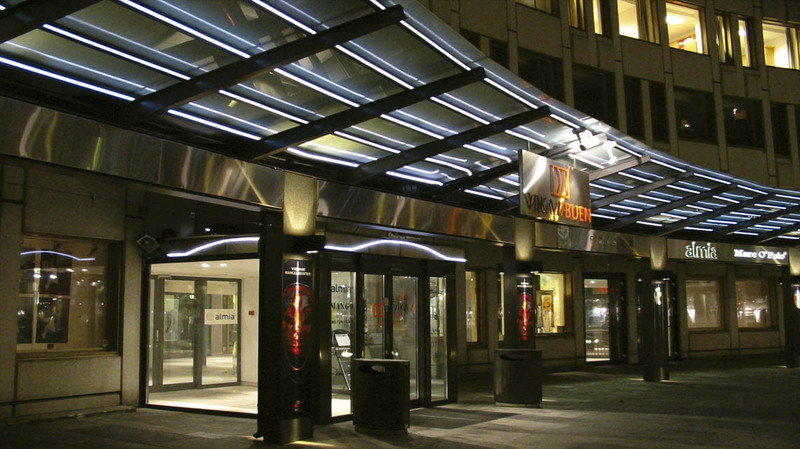 This project entailed lighting the overhead canopy over the main entrance of an Oslo shopping mall and trimming the roof contours of a number of buildings comprising over 500m of edge lines. An Advanced high performance Microbraid sidelight fiber was employed, together with CMY illuminators to provide the exact RAL colors demanded by the designers. HMG401 Microbraid woven sidelight guides clad on transparent PVC with UV and algae protection. MDI504, 150W gas discharge illuminators with CMY color change, dimmer, and DMX 512 control, capable of producing millions of colors.